A classic sightseeing tour on your first day here can actually be a really good way to get a feeling of the city and of which things are in the same area. Here we have a list of the best tours Milan has to offer. 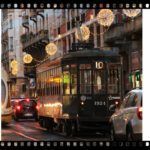 In Milan you can also do your sightseeing from a tram, TraMilano, a charming and different way to vist the tourist attractions. This costs €15 and departs from Milan’s central station (find on map) near the Zara shop, check the link above for more precise details. 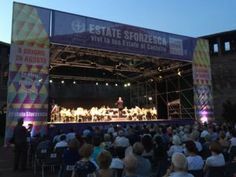 If you have the MilanoCard you get a 15% discount on tickets. There is also an app for the Hop-on Hop-Off service, find the link to download it here. See Milan from a segway in small groups with 8 participants, choose between the day trip of 3 hours. or the night trip of 2.5 hours. Both trips are €75 and start on the ´corner of Via dei Chiostri and Via Ancona (find on map) there is a 30 minute orientation before the trip begins. Tours on the canals (April-September). If you’d like an aperitivo while sailing through the navigli the the Happy Boat tour is what you’re looking for,it’s on every Friday and Saturday at 7.30 p.m. and costs €22 cocktail and buffet included in the price. You can book tickets here: Autostradale Viaggi – Milano 2, Passaggio Duomo (find on map) 1, P.zza Castello (find on map). An untraditional and green way to visit the city is by rickshaw or bike taxi, they organize both shopping- and city trips and prices €25-45 for 1/2 and 1 hour respectively. The trips start from both Piazza Castello, Piazza Duomo and Piazza San Babila. You can also book online and personalize your trip here. Also check out the guided tours on bicycle here. If you’re in Milan for 72 hours or less, you should consider getting a MilanoCard. Read more here. See Milan from a different perspective with bike tour rentals. You can also rent a bike for the entire time you spend here or use one of the many electrical scooters. 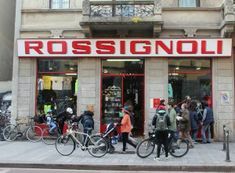 Rossignoli also organize tours of the city on bicycle in Italian and English and to book and get information call +3902804960 some days in advance. BikeMi is a bike sharing service a bit like Boris-bikes in London. It’s a great feature in public transport, but beware Italian traffic habits. (Milan’s municipal transport agency) and to do that you need to have a valid credit card (so they have security for the bike and possible damages) read about the legal and practical issues here. You can get a card for either 1 week, it’s €6, or for a single day, €2,50. Cycling in Milan is a risky business. Milan is a car city, and cyclists are not respected as equals in the traffic. So remember to signal your intentions in the traffic clearly, so the drivers have time to give you space. Take it easy and don’t insist too much. Two important tips: Keep an extra eye on the tram rails (believe you us; it is the voice of experience telling you this) and remember that the cobble stones get extra slippery when it rains. BikeMi is meant to be used for short trips and it becomes proportionally more expensive the longer you use them If you change bicycles frequently the trips can end up being totally free of charge. If you forget to deliver the bike within 24 hours, there’s a stiff fee. ½ – 2 hours: €0,50 every half hour. Friday and Saturday the service will operate 24 hrs a day. The municipality of Milan has now added a bicycle service for kids aged 6-10, you’ll find the junior bikes near some of Milan’s parks Parco Sempione/Piazza Castello (find on map), Giardini pubblici Indro Montenelli (find on map), Parco delle Basiliche (find on map),Parco Don Giussani (find on map) and Parco Ravizza (find on map) the bicycles are available between 7 a.m.-1 p.m. and helmets are mandatory. Read more here. Mobike (on the left in the photo) and OFO. 2 operators in the dockless or free flow bike sharing service, also called Uber for bicycles, have arrived in Milan, you need to download the apps for the services in order to begin to use it. Find the links for the app download here. The first one is Mobike, the orange and black bicycles you have probably seen around the city, The price is €0.30 for every half hour. The second is OFO with the characteristic yellow bicycles that technically are of a slightly better quality It costs €0,20 for the first half hour, €0,30 for the second half hour and €0,50 every half hour after that. You can also rent the bike for a whole day at €5. The newest means of transport on Milan’s ride sharing scene is the electrical scooter but please pay attention as the traffic rules aren’t completely clear yet with regards to where you can use them (bicycle paths or pavements? ), age or speed limits. Who wants to carry round a guide book if you can have it all on your smartphone (which, on the other hand, is indispensable). A classic city-guide full of all the normal tourist attractions and it links text and maps. The official app for the museum “Veneranda Fabbrica del Duomo di Milano” so you can be your own guide. This app has more than 70 city guides – including the one for Milan – and tells you what is worth seeing in the opinion of the people who live in Milan. Lots of great features. the popular international car sharing service is also present in Milan. The new car sharing service is now also in Milan. The car sharing company for Italy’s biggest oil and petrol company ENI. The cars are all FIAT 500. Little yellow electric cars for car sharing. This is a great app for public transport, it tells you which bus and metro stops are near you, you can plan your trips and you can also use it to find the BikeMi hubs (See the article on public transport). If you need to call for a taxi and don’t speak Italian the easiest thing is to use the official app myTaxi. The world’s most famous ride sharing service is legal in Milan and works fine so if you cannot get a taxi or you have to wait too long this is a good alternative. Electric scooters have finally arrived in Milan. There is only this one provider at the moment but rumour has it that others are arriving. A dock-free bike sharing service, where you can find a bicycle near you. The price is €0,30 for every half hour. A dock-free bike sharing service, where you can find a bicycle near you. It costs €0,20 for the first half hour, €0,30 for the second half hour and €0,50 every half hour after that. You can also rent the bike for a whole day at €5. 50 km north of Milan is Como by the beautiful Lake Como surrounded by mountains.It takes about 1 hour from Cadorna station to Como lake and a return ticket is a little under €10. It’s a cosy and very beautiful small town with antique town walls and a great shopping area in the historical center and actually also the place where our personal love affair with Italy began many years ago. Como is famous for its silk and we recommend you visit the outlet Diffusione Seta located at 8-11, Piazza Cavour (find on map). Ristorante Sociale, 6, Via Rodari (find on map) – prices are reasonable and and the food is local and solid – but next time we are planning on trying out the much more sophisticated restaurant with all the great reviews The Market Place, 55, Via Rovelli (find on map). Another fantastic thing to do here is to take the ferry from Como (just by Piazza Cavour) for e.g.Bellaggio or out to see the incredibly beautiful villas, located in the area. Bergamo is one of the few towns in Italy whose historical center is still located within the original town walls which have maintained their original aspect. Bergamo is divided into two parts Bergamo Bassa (low Begamo) and Berrgamo Alta (high Begamo), Bergamo Alta is the historical part of the town which you can get to either by the city funicular or by taking the 45-minute hike up. There are monasteries, historical buildings and an ancient botanical garden. The wonderful Accademia Carrara museum is located in Bergamo Bassa. Among the many lunch places in Bergamo:. A villlage built by the Crespi family for the workers on their factory. It was very advanced for its time (late 1800s) with free education for the children of the employees, a free indoor swimming pool and the first village in Italy to have modern public lighting. In 1995 the village was entered nto the UNESCO World Heritage List. The directions on how to get there can be found here. The Isolee Borromee (the Borromean Islands) are located in the Maggiore Lake and can be reached from Stresa by boat, they are lovely at all times of the year but are paricularly stunning during springtime, They are famous for their amazing palaces and gardens. There are three islands: Isola Bella with the Borromean Palace and gardens, Isola Superiore (Fishmerman’s Island) a tiny island with a beautiful fishing village and Isola Madre with a botanical garden and Palace. Stresa is quite close to Milan and can be reached from both the Central Station and the Garibaldi station, the trip takes about an hour. Antica Stresa, 34, Piazza Cadorna (find on map). Belvedere, Via di Mezzo (find on map). If you feel like pampering yourself go for a day to the San Pellegrino spa (terme) (find on map), you need a car to get up there. Prices and opening hours here. A small piece of advice; go on a weekday. 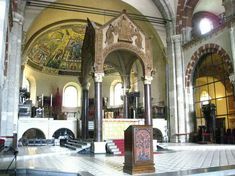 Lodi is another town that is very near Milan, it takes about 35 minutes with the train going to Bologna, and you can catch it from both Stazione Centrale and Cadorna. Lodi is a lovely little town whose interesting archtecture dates all the way back to 1160. Vigevano is an incredibly beautiful art town with an amazing renaissance square Piazza Ducale, considered one of Italy’s finest. There is also a castle, Vigevano’s own Castello Sforzesco which was transformed from a fortress to the residence of a prince in 1492-94 by Ludovio Sforza. Furthermore Vigevano is famous for making shoes and there is a shoe museum inside the Castello Sforzesco with no admission. There’s an antique market in Vigevanoon the thrid Sunday of every month (except August) in the area between Piazza Piazza Martiri della Liberazione, Corso Vittorio Emanuele II and Via S. Croce (find on map). If you love wine and great food there are some areas we recommend you visit and you could spend the night in one of the many agrotourisms. Some great areas are Franciacorta, Asti and Langhe (where, among other towns, Alba is located). D’O Davide Oldani’s wonderful restaurant with 1 Michelin star, located in San Pietro all’Olmo, Cornaredo (find on map). Davide Oldani is the chef who invented the concept Pop Cuisine (Cucina Pop). Remember to book well in advance. Cannavacciuolo Bistrot. 1, Piazza Martiri della Libertà in Novara (find on map) which belongs to Antonino Cannavacciulo, one of the new judges in the Italian edition of Masterchef. Antonino Cannavacciuolo also runs the restaurant (with 2 Michelin stars) and hotel Villa Crespi at the beautiful Lago d’Orta. You can find the Michelin guide’s other suggestions here. One of our favourite things is to have a great brunch at the weekend. We have selected some of the best Milan has to offer divided by area. Prices are € – €15-20, €€ – 20-40, €€€ – 40-60. 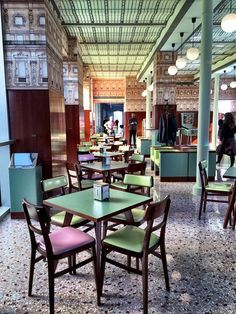 One of the peculiarities of brunch places in Milan is a rotation system so you won’t be able to hang out for the entire duration, it is necessary to book if you want to be sure to get a table (we have included their phone numbers). We would love to hear from you so if you feel like sharing your opinion about the brunch places on our list or know a place you’d like to recommend then use our form here. 12-3.30 pm Saturday and Sunday. 11 am-5 pm Saturday and Sunday. 12-4 pm Saturday and Sunday. 10 am-4 pm Saturday and Sunday. 8 am-3.30 pm Saturday and Sunday. 8-1.30 am Monday to Thursday, 8-2 am Friday and Saturday and 10-1.30 am Sunday – great location and service. When you are abroad you want to get close to the locals … So why not do a cooking course with the Italians? When you’ve been traveling a lot you begin to look for experiences that get you closer to the local population, because who wants to sit at the hotel and have dinner when you could be out meeting people and getting some fun anecdotes to tell. It may take some courage, but isn’t it the courageous decisions you never regret? 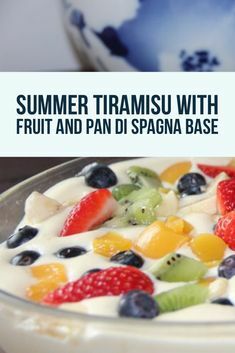 So if you feel like a slightly different evening in the company of Italians, try a cooking course in Italian. Nothing beats “I learned how to make this sauce from a chef in Milan” when your friends come over. You can choose the very personal experience with a course in English at a private home, Clara opens the doors to her home in the center of Milan for morning courses between September and June and on market days she takes you to the local open air food market to pick the fresh seasonal products for your cooking class. metro line 4 stops from Duomo. If you can’t make it to her courses (or for some reason don’t feel like participating) you can still come and have dinner with the paticipants. Both Clara and Aurora put emphasis on the fact that their courses aren’t just about cooking but also about socializing. Italian but you can be certain that they will try anything with a combination of gestures and English to make you understand. And if Italians have bad English skills their gesturing is formidable. You are guaranteed to have an entertaining evening and you will learn to make some great food. At Teatro7 you get the course including dinner from €75 to €150. Check out our Right now in Milan (in the menu) for courses. Important instructions for booking a course online as the course calendar only exists in Italian: first click on the red Guarda il Menu button next to your course, on the next page click on “prenota il corso” at the top of the page (book) and then the rat of the instructions are in English, if you don’t receive a confirmation via email within 24 hours, send an email to iscrizioni@teatro7.com – you won’t be able to attend if you don’t have the email. The course calendar is here. For those of you who are only in town for a short visit we have made a mini route where you get all the best Milan has to offer in terms of both shopping, food, architecture and culture. For our first express shopping route we have chosen the area from Piazza Gae Aulenti to Piazza della Scala, from the new and modern to the old and traditional. and Illy café – the world’s best espresso. Located under the square is the supermarket Esselunga if you want to shop for specialties. From there continue down Corso Como and check out the famous design store and art gallery at no. 10 – good place for lunch. 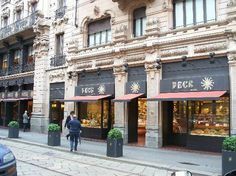 Continue into the Brera area (Via Solferino, Via San Marco and Corso Garibaldi) which is the old artistic neighbourhood of Milan with lots of quirky and chic stores and galleries. If you’re here on either a Monday or a Thursday it is worth your while to visit the open air market in Via San Marco. Visit the Pinacoteca di Brera for a shot of culture. Continue down to Piazza della Scala with Milan’s famous Scala theater. 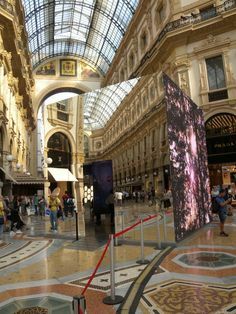 If you still have energy and time to spare you are now directly behind Piazza Duomo just walk thorugh the Galleria Vittorio Emanuele which links Piazza della Scala and Piazza Duomo and you have Milan’s cathedral right in front of you. Now you are probably starving and you are close to several good restaurants e.g. Langosteria Cafè,4, Galleria del Corso (find on map) excellent seafood €€€, Piz, 34, Via Torino (find n map) genuine Neapolitan pizza €, I 12 Gatti,11/12, Galleria Vittorio Emanuele II on the corner of Piazza della Scala (find on map) with a fantasic terrace on the top of Milan €€ and Mama Burger,18, Via Agnello (find on map) good quality burgers €. Enjoy your perfect day in Milan! In Milan there are flea markets every Sunday and besides them there are little markets in the city both on weekdays and at weekends. Here you can find those unique objects you won’t find anywhere else. 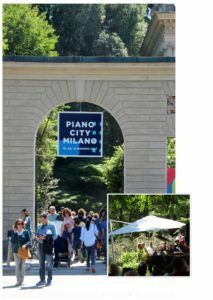 If you like antiques, flea market bargains or vintage there are various possibilities in Milan and surroundings.We have chosen the best ones and comment on them. The flea markets in the surroundings of the city are easier to get to if you’ve got a car. Here you can really find many unique Italian things for your home at very good prices – remember to haggle! It’s a good idea to be polite and cheeky when haggling. Italians love negotiating! If you are tired of having the same IKEA objects at home as everybody else, then take advantage of your trip to Milan to find some unique pieces. You’ll find everything you find at a normal flea market: Jewellery, toys, hats, chandeliers,vases, lamps, mirrors, cupboards, furniture, vintage – at all price levels. 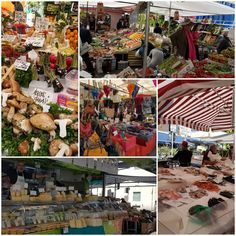 “Mercatino di Brera” (find on map) the third Sunday of every month from 9 a.m.-6 p.m.this market is located in one of the most beautiful areas in Milan and you should expect pricy objects. 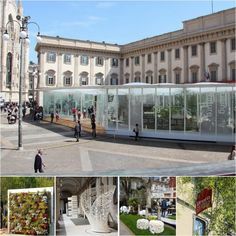 “Artigianato e Collezionismo” every second, third and fourth Tuesday + every first Sunday of every month from 8 am to 7 pm in front of Pinacoteca di Brera in Via Brera (find on map). “Mostra mercato di antiquariato” in Piazza Diaz (find on map) on the 1st, 2nd and 3rd Thursdays + 3rd Sunday of every month from 8 a.m.-7 p.m. – just behind Piazza Duomo. “Little Market” products of craftmanship and collectors’ items, in Piazza Sant’Eustorgio (find on map) every 1st Friday and Saturday of every month. “Mercatino” vintage and collectors’ items every 2nd and 4th Friday and the last Saturday of every month close to Porta Venzia/Corso Buenos Aires in Via Spallanzari (find on map). “Fiera di Senigaglia”: in the Navigli area, every Saturday 9 a.m.-7 p.m.in Ripa di Porta Ticinese (find on map) along the wharf. Here you find everything Indian, South American and African craftwork, new and second-hand clothes, old furniture, perfumes, candles, books, comics, records, videos and DVDs. “Festivalpark”: Every Saturday and Sunday at. 7 a.m.-3 p.m., here you find clothes, shoes, watches, toys, kitchenware, bicycles etc. This market is in Via Sacile (find on map) near Milan’s wholesale vegetable market. Flea markets in the outskirts of Milan. Every third Sunday of the month at the flea market in Corsico, there’s a flea market for children. Here you can find games, books, clothes and lots of other stuff..
Time: 9 a.m.- 4 p.m. In most countries we go directly to the restaurant and have a drink while we study the menu. In Milan you start with an aperitivo. The aperitivo is an appetizer: a glass of wine or a cocktail with snacks, that you have before going out for dinner – at around 6-8 p.m.. Via Tortona /Via Savona (find on map) is an area with many cool brunch/lunch places and small boutiques and in the evening it’s a great place to have an aperitivo. Gogol & Company 101, Via Savona (find on map) is a charming bookstore/art gallery/café/bar with a great aperitivo in unusual surroundings.Opening hours Tuesday-Sunday 9 a.m.-10 p.m.
Tagiura ristorante, 5,Via Tagiura (find on map) – not extremely central but an absolute must for aperitivo and lunch. Another good area to have an aperitivo together with the Milanese in is the very cosy Isola area (find on map). The best street is Via P. Borsieri (find on map) where the legendary jazz place Blue Note is too. 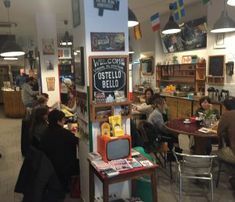 Here you also find super cool and beautiful Café Gorille, 20, Via Gaetano de Castillia (find on map) which is rich on atmosphere. The Navigli area is also rich on aperitivo places such as Manhattan Navigli at 13, Ripa di Porta Ticinese (find on map). Mag café at 43, Ripa di Porta Ticinese (find on map). Swami Cafë (find on map) – near Porta Romana, 12, Viale Montenero. Lacerba Cocktail bar, 4, Via Orti (find on map) in the Porta Romana area. This place is fast becoming one of the favourites with the choosy Milanese. God save the food, 1, Piazza del Carmine (find on map) high quality buffet and cocktails right in the center of Milan in Brera. Terrazza di Maison Moschino, Hotel Moschino,(find on map) it is a little pricier than most places (10-15€). It’s on 12, Viale Monte Grappa , super chic and very fashion. 8-1.30 am Monday to Thursday, 8-2 am Friday and Saturday and 10-1.30 am Sunday, not the cheapest place in Milan but great location and service. On your way back from a shopping tour Tramè is a great place to have an aperitivo, in the middle of Brera and very lively (find on map) you may already know the place from a lunch! You won’t get any snacks here, just an excellent drink but you can try some of their delicious sandwiches with it, but you have to buy those on the side..
That’s Vapore 5, Corso di Porta Vittoria (find on map). MINT Garden café, 12, Via Felice Casati (find on map) a very cool place to have your aperitivo near Corso Buenos Aires. Pandenus,15, Via Alessandro Tadino (find on mapt) has great cocktails, a fantastic buffet and a super cozy atmosphere. Nottingham Forest, 1, Viale Piave (find on map) it has made it to the prestigious list of 50 Great Bars of the World published by the English Class Magazine. Very international crowd and their cocktails are pure molecular science. Bar Basso, 39, Via Plinio (find on map) One of Milan’s historical cocktailbars, Inventors of the drink Negroni Sbagliato. Close to shopping area Corso Buenos Aires. In the same area you’ll find Settimo Senso, 19, Viale Abruzzi (find on map) – Good and cheap, super service! Milan is an amazing city for night life and there are lots of clubs and Piazzas where you meet the young, the rich and the beautiful – and perhaps the famous. The hottest area is around Corso Como, see the map here. \ Cavalli Club – For a more adult crowd (25-40). It’s located in Via Luigi Camoens, right next to Torre Branca and the museum Triennale di Milano (find on map). If you’re not that crazy about clubs, the area around Le colonne di San Lorenzo (here is the map) is full of cool bars with outdoor service and lots of life on Friday and Saturday nights..
One of the classics for nightlife by Corso Magenta (find on map).